Coconut oil is well known in the beauty world for having many hair benefits. 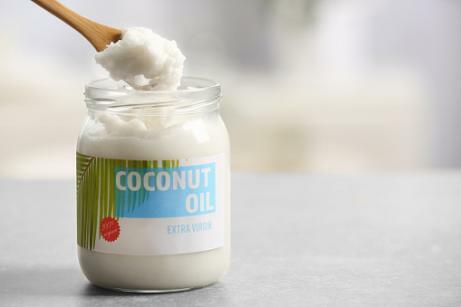 As well as being very rich in potassium, vitamin B, zinc, and nutrients, coconut oil can nourish and hydrate your tresses through quick-fix DIY treatments. Applying them frequently will also promote healthy hair growth. DIY masks are ideal for thick, dry, or brittle locks, or if you regularly apply heat through a curling iron or straighteners. They will help you to put much-needed moisture back into your hair. Do not wash your hair two to four days before you begin the treatment. Apply the treatment to dry hair. Dry hair is recommended as it tends to lock in coconut nutrients better than wet hair. The main ingredient you'll need is pure coconut oil from a grocery store such as Walmart. 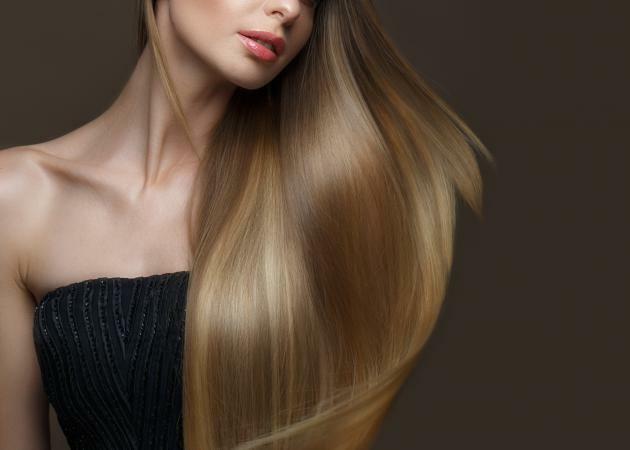 If you have medium to long hair, two tablespoons of the oil are required. If you have short hair, just one tablespoon should be enough. Once both your hair and ingredients are ready, you can proceed with the following steps. First, scoop your coconut oil into a microwavable boil along with any other ingredients you'd like to add. You then need to place it into the microwave for about 20 seconds to turn it into liquid form. Once you've applied the mask to the bottom section, repeat the process for the top section. You might want to avoid putting the treatment onto your roots if you have a naturally oily scalp or skin as this will only aggravate it. If you have bleached or dyed hair, focus especially on the ends for extra nourishment. Once your entire head is covered in the treatment, tie your hair up into a top knot and use a scalp cap or plastic bag to keep the oil locked in your hair for maximum results. The trick is to involve all the hair in the covering process so that none of it is exposed. 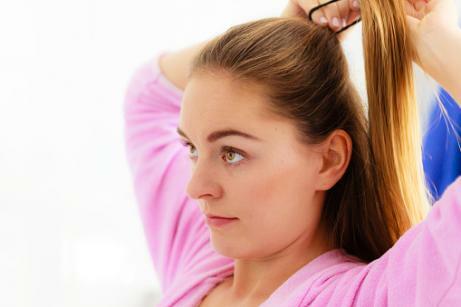 Finally, leave the hair mask on your hair for around 45 minutes. (The longer you leave the mask on, the more it will condition your mane.) Afterwards, shampoo as usual using lukewarm water to completely rid your hair of the oil. Once it's dry, you're then left with revitalized hair that is shinier and softer to touch. If you find the coconut oil is difficult to remove, you may want to consider using an egg wash and small amount of castile soap to fully cleanse your hair. You can also try a clarifying shampoo or a thin paste of baking soda and water. Make sure to thoroughly rinse any products you apply. If you'd rather buy a pre-made hair mask instead of using a homemade option, you can easily do so. The Shea Moisture 100% Virgin Coconut Oil Leave-in Treatment is only about $12 from Ulta Beauty. This deep conditioning leave-in treatment helps to detangle your mane and fight off frizz by softening your tresses. Just spritz this product on when your hair is damp and clean. Created with brittle summer hair in mind, the Serge Normant Meta Morphosis Hair Repair Treatment costs about $60 from Birchbox. It's infused with coconut oil as well as other hydrating ingredients. All you need to do is massage the product into your hair and leave it in for 5 to 20 minutes. Once you wash it out, you're left with gorgeous, silky locks. Bumble and Bumble has a range of coconut oil products, but the brand's Invisible Oil Pre-Shampoo Masque (about $43) is a favorite. 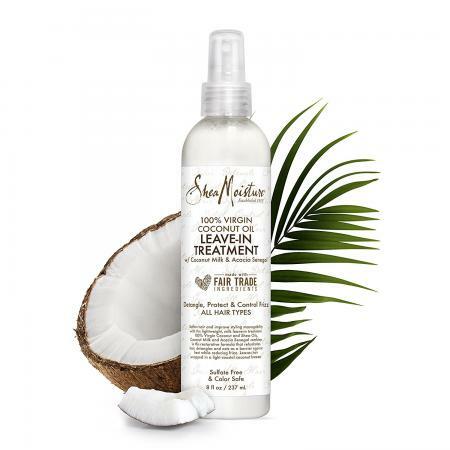 It contains coconut oil along with other hydrating oils to add shine and softness. DIY and ready-made hair masks containing coconut oil are ideal for reviving dull hair and restoring moisture. Whether you opt for a pure coconut oil mask or one with a mix of ingredients, you should explore the market and experiment with a variety of products to find out what works for you. Once you drop on the perfect combination, it won't be long before you have shinier, healthier, and more manageable locks.